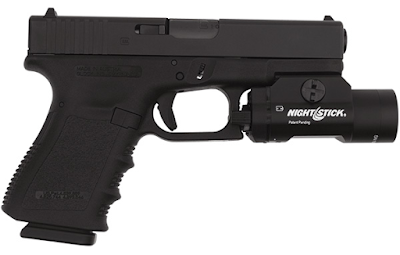 The benefits and advantages of having a tactical light mounted to any of your firearms are innumerable: The convenient, pointable, and reliable illumination it offers greatly increases your shooting ability in low-visibility settings. You can use both of your hands to operate your firearm, while an ergonomically placed switch allows you to easily, efficiently turn the tactical light on and off without breaking your firing grip, which lets you effortlessly line up your target in the darkest of conditions. 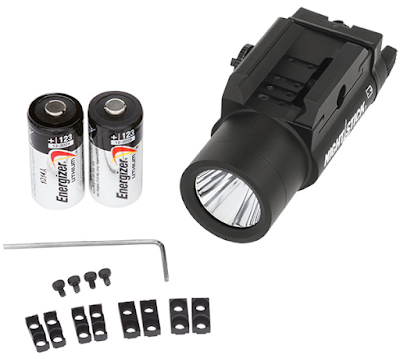 In order to reap the aforementioned benefits from your tactical, weapon-mounted light, it’s essential that the light you choose is of high quality. 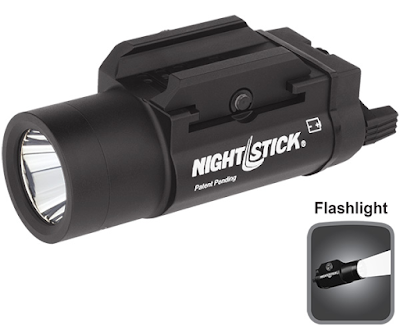 Nightstick, a global provider of professional lighting products, prides themselves on exceeding industry standards of performance, quality, user-safety, and value. The new Nightstick Tactical Weapon-Mounted Light combines a CREE® LED-rated 350 lumens with a high-efficiency, deep-parabolic reflector in order to create a powerful, sharp-focused, 215-meter beam of light for distance illumination. 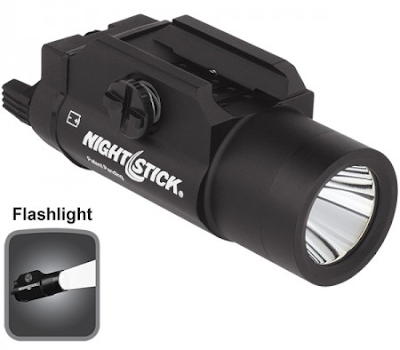 The Nightstick Tactical Weapon-Mounted Light features several lighting options, including a momentary-on mode and a constant-on mode. Simply utilize its conveniently located, ambidextrous toggle switches on either side to operate them, and stay focused on lining up any potential targets with ease. Don’t let darkness compromise your accuracy and safety. For more information and to get yours, be sure to visit GideonTactical.com.